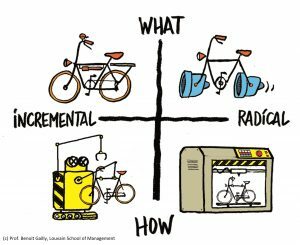 Innovation is about both making new things (“what”) and making similar things in new ways (“how”). Innovation is about new value propositions and new services, new ways to market to and interact with customers. This means much more than developing new products. 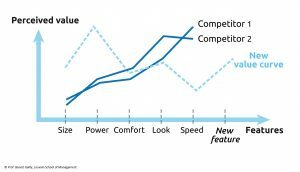 Innovation is also about finding new ways to differentiate, and new value curves that disrupt competitors but not customers. Innovation is ultimately about designing new business models and new ways to deliver, share and capture value. (Book) Mortensen, P. S., & Bloch, C. W. (2005) Oslo Manual-Guidelines for collecting and interpreting innovation data. Organization for Economic Cooperation and Development, OECD. (Article) Barras, R. (1986). Towards a theory of innovation in services. Research Policy, 15(4), 161-173. (Article) Camison, C., & Villar-Lopez, A. (2014). ‘Organizational innovation as an enabler of technological innovation capabilities and firm performance’. Journal of Business Research, 67, 2891-2902. (Article) Damanpour, F. (1987). ‘The adoptation of technological, administrative and ancillary innovations: impact of organizational factors’. Journal of Management, 13, 675-688. (Article) Damanpour, F., & Aravind, D. (2006). ‘Product and process innovations: a review of organizational and envrionmental determinants’. In Hage J. and Meeus M., Innovation, Science, and Industrial Change: A Research Handbook, Oxford: Oxford University Press, 38-66. (Article) Damanpour, F., & Aravind, D. (2011). ‘Managerial Innovation: Conceptions, Processes, and Antecedents’. Management and Organizational Review, 8, 423-454. (Article) Gallouj, F. & Weinstein, O. (1997). “Innovation in services”, Research Policy, 26, 537-556. (Article) Gopalakrishnan, S., Bierly, P., & Kessler, E. H. (1999). A reexamination of product and process innovations using a knowledge-based view. Journal of High Technology Management Research, 1(10), 147-166. (Article) Mol, M. J., & Birkinshaw, J. (2009). The sources of management innovation: When firms introduce new management practices. Journal of Business Research, 62(12), 1269-1280. (Article) Mothe, C., & Nguyen-Thi, T. U. (2013). Sources of information for organisational innovation: a sector comparative approach. International Journal of Technology Management, 63(1-2), 125-144. (Article) Sapprasert, K., & Clausen, T. H. (2012). Organizational innovation and its effects. Industrial and Corporate Change, 21(5), 1283-1305. (Article) Sundbo, J., & Gallouj, F. (2000). Innovation as a loosely coupled system in services. International Journal of Services Technology and Management, 1(1), 15-36. (Article) Utterback, J.M. & Aberbathy W. (1975). “A dynamic model of process and product innovation” Omega, 33, 639-656. (Book) Baines, T., & Lightfoot, H. (2013) Made to Serve: How manufacturers can compete through servitization and product service systems. John Wiley & Sons. (Book) Hull, F. and Tidd, J. (2003) Service Innovation: Organizational Responses to Technological Opportunities and Market Imperatives. Imperial College Press, London. (Article) Baines, T. S., Lightfoot, H. W., Benedettini, O., & Kay, J. M. (2009). The servitization of manufacturing: A review of literature and reflection on future challenges. Journal of Manufacturing Technology Management, 20(5), 547-567. (Article) Bitner, Mary Jo, Amy L. Ostrom, and Felicia N. Morgan. “Service blueprinting: a practical technique for service innovation.” California Management Review 50.3 (2008): 66-94. (Article) Chesbrough, H. W. (2011). Bringing open innovation to services. MIT Sloan Management Review, 52(2), 85. (Article) Droege, H., Hildebrand, D., Forcada, H., & Miguel, A. (2009). ‘Innovation in services: present findings, and future pathways’. Journal of Service Management, 20, 131-155. (Article) Johne, A., & Storey, C. (1998). New service development: a review of the literature and annotated bibliography. European Journal of Marketing, 32(3/4), 184-251. (Article) Lusch, R. F., & Nambisan, S. (2015). Service innovation: A service-dominant logic perspective. MIS Quarterly, 39(1). (Article) Mont, O. K. (2002). Clarifying the concept of product–service system. Journal of Cleaner Production, 10(3), 237-245. (Article) Skålén, P., Gummerus, J., von Koskull, C., & Magnusson, P. R. (2015). Exploring value propositions and service innovation: a service-dominant logic study. Journal of the Academy of Marketing Science, 43(2), 137-158. (Article) Visnjic, I., Ringov, D., & Arts, S. (2019). Which Service? How Industry Conditions Shape Firms’ Service‐Type Choices. Journal of Product Innovation Management. (Article) Witell, L., & Löfgren, M. (2013). From service for free to service for fee: business model innovation in manufacturing firms. Journal of Service Management, 24(5), 520-533. (Article) Witell, L., Snyder, H., Gustafsson, A., Fombelle, P., & Kristensson, P. (2016). Defining service innovation: A review and synthesis. Journal of Business Research, 69(8), 2863-2872. (Article) Zhang, M., Zhao, X., Voss, C., & Zhu, G. (2016). Innovating through services, co-creation and supplier integration: Cases from China. International Journal of Production Economics, 171, 289-300. (Book) Michelini, L. (2012). Social innovation and new business models: creating shared value in low-income markets. Springer Science & Business Media. (Article) Adner, R. (2002). When are technologies disruptive? 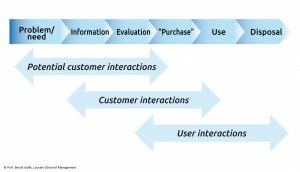 A demand‐based view of the emergence of competition. Strategic Management Journal, 23(8), 667-688. (Article) Ansari, S.S., Garud, R., & Kumaraswamy, A. (2016). The disruptor’s dilemma: TiVo and the US television ecosystem. Strategic Management Journal, 37(9), 1829-1853. (Article) Bower, J. L., & Christensen, C. M. (1995). Disruptive technologies: catching the wave. Harvard Business Review, 13(1), 43-53. (Article) Charitou, C. D., & Markides, C. C. (2002). Responses to disruptive strategic innovation. MIT Sloan Management Review, 44(2), 55-64. (Article) Christensen, C.M., & Bower, J.L. (1996). Customer power, strategic investment, and the failure of leading firms. Strategic Management Journal, 197-218. (Article) Christensen, C. M., Johnson, M. W., & Rigby, D. K. (2002). Foundations for growth: How to identify and build disruptive new businesses. MIT Sloan Management Review, 43(3), 22. (Article) Christensen, C., & Euchner, J. (2011). Managing disruption: an interview with Clayton Christensen. Research-Technology Management, 54(1), 11-17. (Article) Christensen, C. M., McDonald, R. , Altman, E. J. and Palmer, J. E. (2018), Disruptive Innovation: An Intellectual History and Directions for Future Research. Journal of Management Studies, Accepted Author Manuscript. (Article) Dahan, N. M., Doh, J. P., Oetzel, J., & Yaziji, M. (2010). Corporate-NGO collaboration: Co-creating new business models for developing markets. Long Range Planning, 43(2-3), 326-342. (Article) Danneels, E. (2004). Disruptive technology reconsidered: A critique and research agenda. Journal of Product Innovation Management, 21(4), 246-258. (Article) Denning, S. (2005). Why the best and brightest approaches don’t solve the innovation dilemma. Strategy & Leadership, 33(1), 4-11. (Article) Dillon, T. A., Lee, R. K., & Matheson, D. (2005). Value innovation: Passport to wealth creation. Research-Technology Management, 48(2), 22-36. (Article) Ernst, H., Kahle, H. N., Dubiel, A., Prabhu, J., & Subramaniam, M. (2015). The antecedents and consequences of affordable value innovations for emerging markets. Journal of Product Innovation Management, 32(1), 65-79. (Article) Govindarajan, V., & Kopalle, P. K. (2006). The usefulness of measuring disruptiveness of innovations ex post in making ex ante predictions. Journal of Product Innovation Management, 23(1), 12-18. (Article) Keupp, M., Palmiè, M., & Gassmann, O. (2012). ‘A reflective review of disruptive innovation theory’. International Journal of Management Review, 14, 367-390. (Article) King, Andrew A., and Baljir Baatartogtokh. “How useful is the theory of disruptive innovation?.” MIT Sloan Management Review, 57.1 (2015): 77. (Article) Markides, C. (2006). Disruptive innovation: In need of better theory. Journal of Product Innovation Management, 23(1), 19-25. (Article) Prahalad, C. K., & Mashelkar, R. A. (2010). Innovation’s holy grail. Harvard Business Review, 88(7/8), 132-141. (Article) Sanchez, P., & Ricart, J. E. (2010). Business model innovation and sources of value creation in low‐income markets. European Management Review, 7(3), 138-154. (Article) Schmidt, Glen M., and Cheryl T. Druehl. (2008) “When is a disruptive innovation disruptive?.” Journal of Product Innovation Management, 25(4), 347-369. (Article) Van Orden, J., van der Rhee, B., & Schmidt, G. M. (2011). Encroachment patterns of the “best products” from the last decade. Journal of Product Innovation Management, 28(5), 726-743. (Article) Winterhalter, S., Zeschky, M. B., Neumann, L., & Gassmann, O. (2017). Business models for frugal innovation in emerging markets: the case of the medical device and laboratory equipment industry. Technovation, 66, 3-13. (Article) Yu, D., & Hang, C. C. (2010). A reflective review of disruptive innovation theory. International Journal of Management Reviews, 12(4), 435-452. (Article) Zeschky, M. B., Winterhalter, S., & Gassmann, O. (2014). 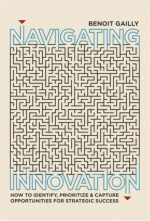 From cost to frugal and reverse innovation: Mapping the field and implications for global competitiveness. Research-Technology Management, 57(4), 20-27. (Book) Osterwalder, A., & Pigneur, Y. (2010) Business model generation: a handbook for visionaries, game changers, and challengers. John Wiley & Sons. (Book) Gassmann, O., Frankenberger, K., & Csik, M. (2014) The business model navigator: 55 models that will revolutionize your business. London: Pearson UK. (Book) Keeley, L., Walters, H., Pikkel, R., & Quinn, B. (2013). Ten types of innovation: The discipline of building breakthroughs. John Wiley & Sons. (Article) Amit, R., & Zott, C. (2001). ‘Value creation in e-business’. Strategic Management Journal, 22, 493-520. (Article) Clauss, T. (2017). Measuring business model innovation: conceptualization, scale development, and proof of performance. R&D Management, 47(3), 385-403. (Article) Euchner, J., & Ganguly, A. (2014). Business model innovation in practice. Research-Technology Management, 57(6), 33-39. (Article) Evans, John D., and Ray O. Johnson. “Tools for managing early-stage business model innovation.” Research-Technology Management 56.5 (2013): 52-56. (Article) George, G. & Bock, A. (2011). “The business model in practice and its implication for entrepreneurship research”; Entrepreneurship Theory and Practice, 35(1), 83-111. (Article) Hossain, M. (2017). 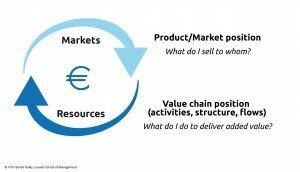 Business model innovation: past research, current debates, and future directions. Journal of Strategy and Management, 10(3), 342-359. (Article) Markides, C. (1997). Strategic Innovation. Sloan Management Review, Spring, 9-23. (Article) Matzler, K., Bailom, F., Friedrich von den Eichen, S., & Kohler, T. (2013). Business model innovation: coffee triumphs for Nespresso. Journal of Business Strategy, 34(2), 30-37. (Article) Remane, G., Hanelt, A., Tesch, J. F., & Kolbe, L. M. (2017). The business model pattern database – A tool for systematic business model innovation. International Journal of Innovation Management, 21(1). (Article) Schneider, S., & Spieth, P. (2013). Business model innovation: Towards an integrated future research agenda. International Journal of Innovation Management, 17, 134-156. (Article) Spieth, P., Schneckenberg, D., & Ricart, J. E. (2014). Business model innovation–state of the art and future challenges for the field. R&D Management, 44(3), 237-247. (Article) Taran, Y., Boer, H., & Lindgren, P. (2015). A business model innovation typology. Decision Sciences, 46(2), 301-331. (Article) Teece (2010) “Business models, business strategy and innovation.”, Long Range Planning, 43(2), 172-194.